Finely crafted from alloy, this sparkling candy cane is encrusted with clear crystals that will be sure to make everyone around you feel the joy of the season. Or wear it as an iconic punk symbol with your combat boots. Give this quality fashion jewelry as a sweet and sentimental special gift to a loved one to commemorate a meaningful journey or use it as a beautiful personal piece that would complement your style. Can serve as a practical or decorative purpose. 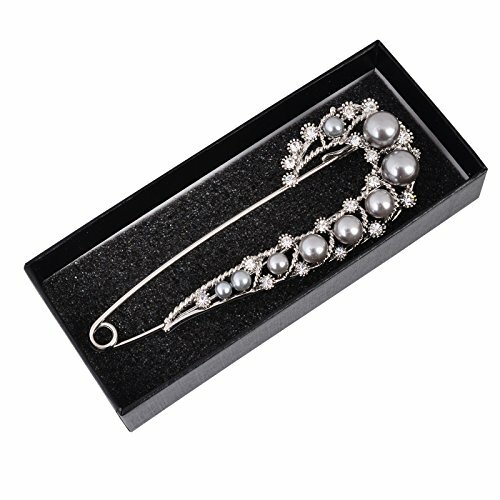 Can be worn on a shirt collar, blazer lapel, on a hat or beret, scarf and even added to a coat or your favorite bag. 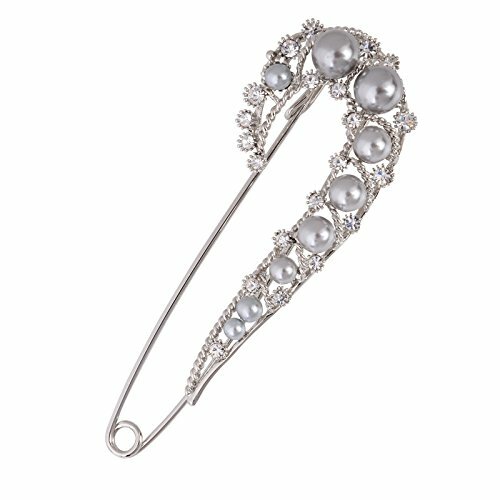 Suitable for dresses, business suits, or casual wear. You can dress it up or dress it down. 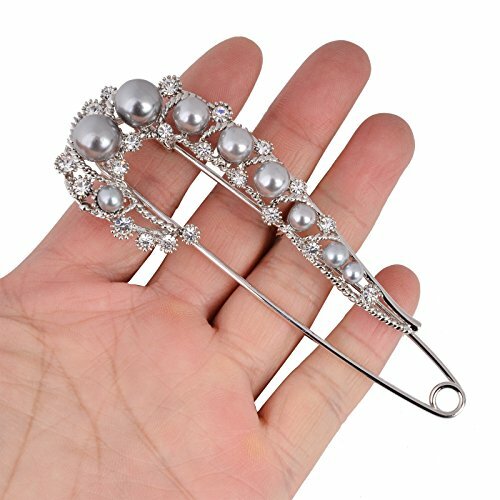 It is twice as long as normal pin and four times the size of a regular pin. 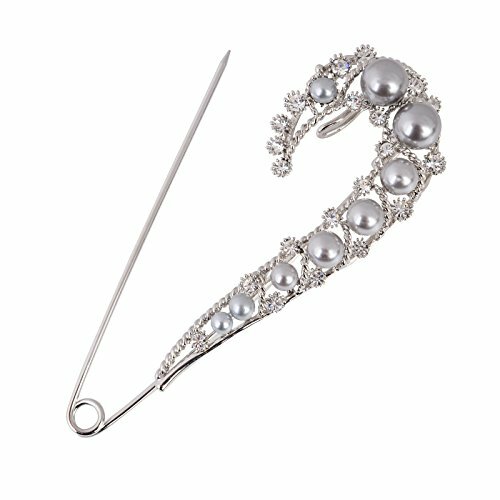 The embedded Imitation crystals or Simulated pearls, along with plated gold or silver plated pin, brings your more attention. If you have any questions about this product by Fenni, contact us by completing and submitting the form below. If you are looking for a specif part number, please include it with your message.